I am an employee of Northwest Community Credit Union. Our Northwest checking is designed to keep you in the green with no monthly fees. Earn interest when you sign up for eStatements and direct deposit, make five monthly debit transactions, and login to eBanking monthly. You can open additional savings accounts for different savings goals. Automated deposits can help you start small and save big. Northwest Secure checking adds a complete suite of identity theft detection and recovery benefits to protect more than your money. These features include proactive ID theft monitoring services, identity theft recovery services, and mobile device protection. A great way to keep your savings liquid but still earn on your balance. 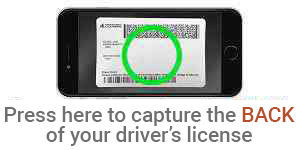 Please attach a copy of your government-issued ID or any other necessary materials for your application here. 1. How did you hear about NWCU?